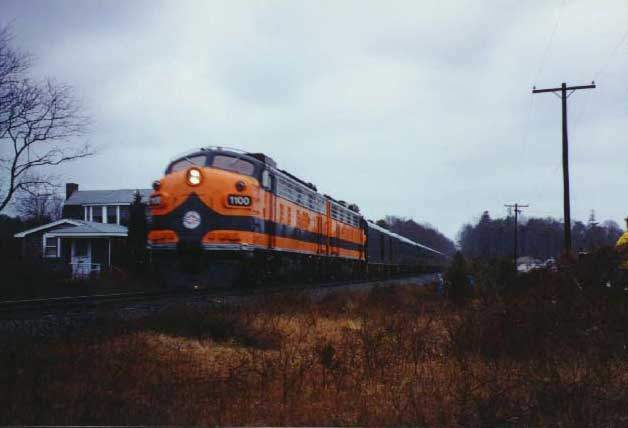 A classic 3/4 angle of Cape Cod Railroad's F10's. No 1100 is on the point of this rainy-day odyssey. Photographed by John B. Mentzer. Added to the photo archive by John Mentzer, December 23, 2002.